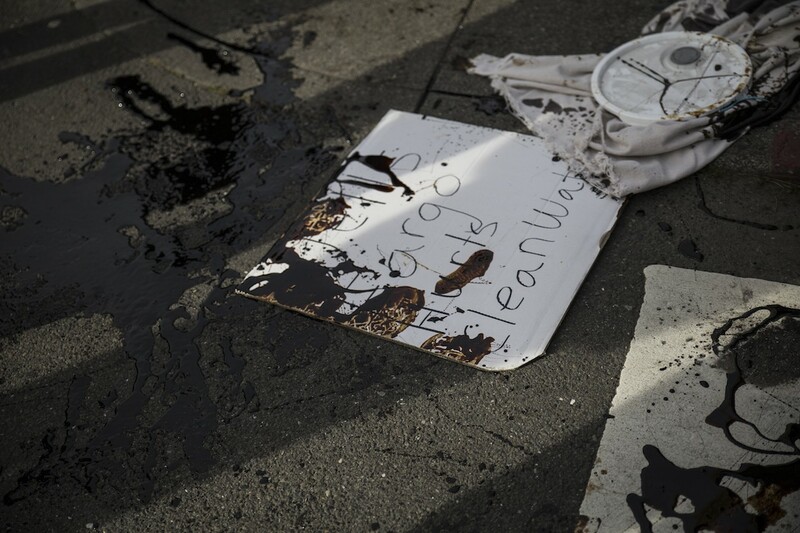 Four protesters brought a large white bucket filled with molasses, which mimicked the look of oil as they let it drip down their arms in protest of Wells Fargo. 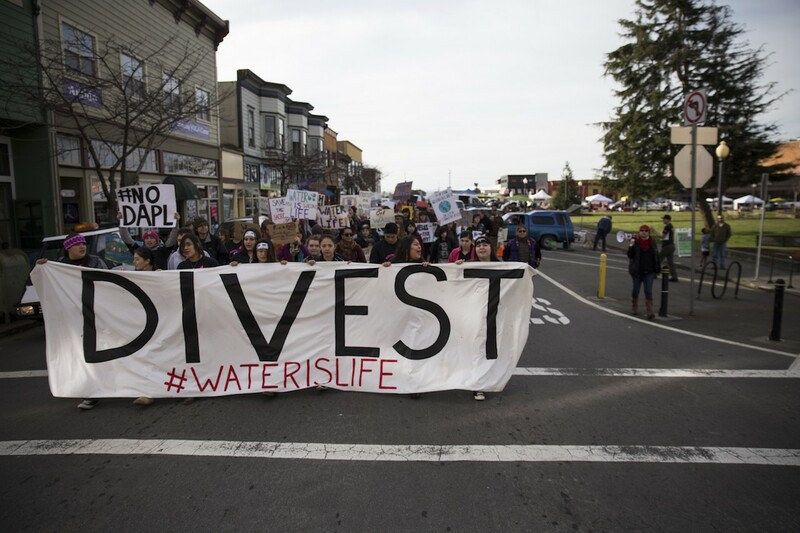 A group of seven young protesters gripped a long white banner reading, “Divest,” which stretched across G Street in Arcata. 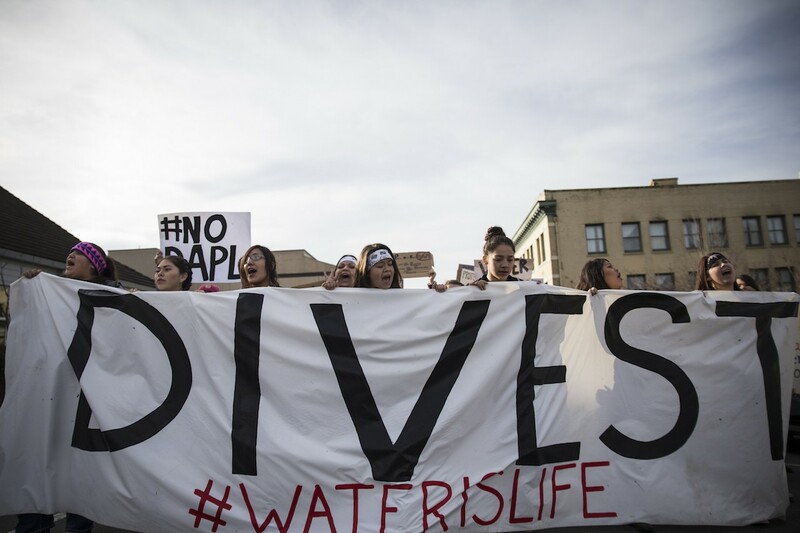 As the youth leaders marched north, they yelled, “Water is what?” “Water is life,” the fellow protesters responded. 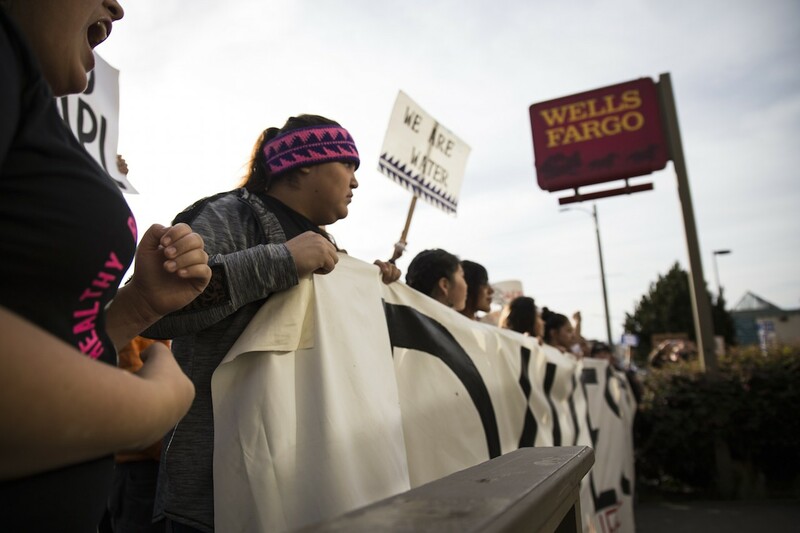 The protesters marched from the Arcata Plaza to Wells Fargo on Saturday, led by Indigenous youth from the Karuk, Hoopa and Yurok tribes. After gathering, the group of more than 100 marched to the local branch of one of the largest banks financing the North Dakota Access Pipeline. 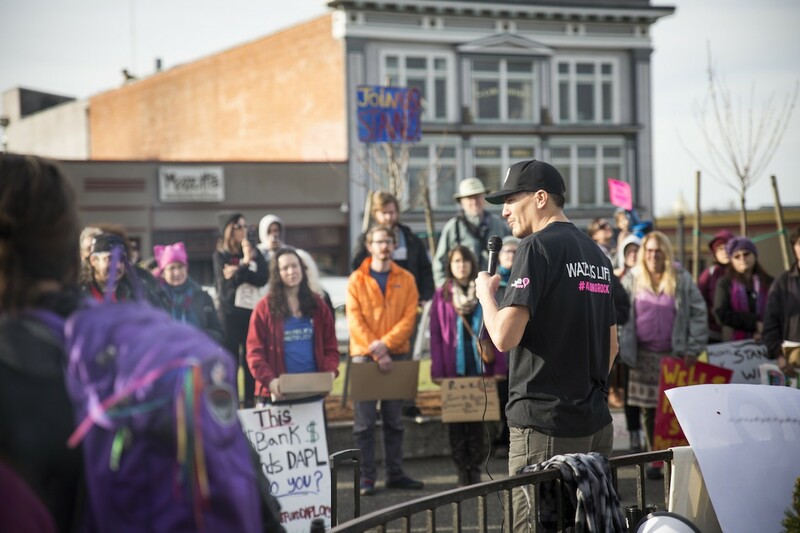 Hoopa Valley tribal member Nah-Tes Jackson was the first to speak to the crowd of 100 or so protesters on the Arcata Plaza on Saturday. “We are all connected in the same journey,” Nah-Tes Jackson, a Hoopa tribal member, said after he shared his own experience of protesting in Standing Rock for four months. The protest and march came three days after President Donald Trump inked an executive order to rekindle the pipeline project, as well as the Keystone XL. On the plaza prior to the march, three native youths stepped nervously in front of the crowd as it continued to expand. Kis-dyan-te’ Joseph, a 16 year old from the Hoopa Shoshone Piute and Karuk tribes, lead a Brush Dance song she discovered while protesting in Standing Rock. As the group approached the bank, it chanted, “We got the power” and “Can’t drink oil, keep it in the soil.” The seven protesters holding the banner approached the bank and stopped just shy of the entrance, remaining on the sidewalk. Four women brought a white 5-gallon bucket filled with a black solution. Leslie Castellano dug her hands deep into the oil-looking liquid and then raised her arms, letting the substance drip down onto her shoulders and chest. At the women’s feet lay a white sign covered in black molasses. “Wells Fargo hurts clean water,” it read. 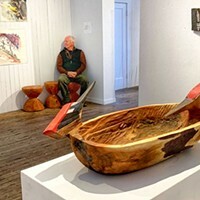 Castellano came up with the idea of using molasses to mimic the look of oil when she was protesting in Standing Rock. The group of women held their arms up in protest for almost two hours gathering more liquid every couple of minutes. “It is a poetic demonstration,” Castellano said. Joseph held the right side of the banner and moved to the left as several community members walked passed, approaching the bank’s reflective doors. A Wells Fargo employee unlocked the door and let them enter the bank one by one. Kis-dyan-te’ Joseph, 16, from the Hoopa Shoshone Piute and Karuk tribes, holds the right side of the banner reading 'Divest' in front of the Wells Fargo in Arcata on Saturday. According to the Wells Fargo statement they are one of 17 different banks financing the DAPL and represent less than 5 percent of total DAPL investments. 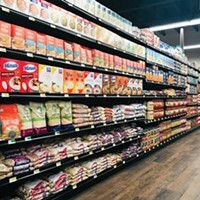 “We remain committed to our obligations to serve our customers’ financial needs,” the statement reads. Protesters circulated two flyers Saturday. The first, created by the North Coast People’s Alliance, provided a list of seven ways for people to make a bigger impact when they divest from DAPL. The other appeared to be a letter from Wells Fargo to its customers. “Hello! We’re sorry to interrupt your day, but we want you to know what Wells Fargo does with your money. Wells Fargo is one of the biggest funders of the Dakota Access Pipeline,” the letter reads. 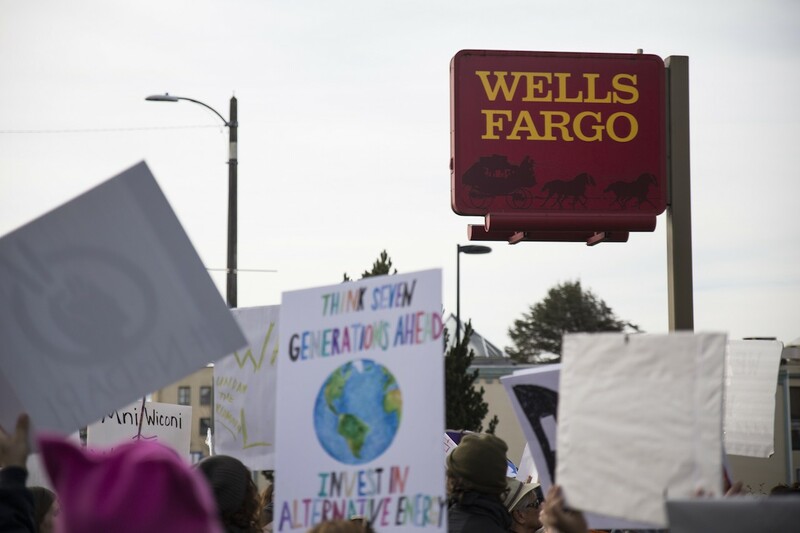 The letter states that Wells Fargo is a key partner with Energy Transfer Partners, which has invested $567 million into the pipeline project, and that Wells Fargo is owed $42 billion from the oil and gas industry to be paid after the pipeline is built. Just before 11a.m., the crowd started to disperse. The bulk of the group headed west on 11th Street and turned left onto H Street to regroup on the Plaza. 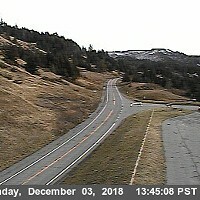 Others left Arcata and headed to Eureka in order to continue the youth-led protest. Annelia Hillman, who is from the Yurok Tribe but comes from Karuk territory, said she was proud to march along with the youth on Saturday. She said they will be the next generation of leaders and it is important to follow them. “It’s important that they feel empowered,” Hillman said. Led by seven indigenous youth, the group of protesters heads up G Street toward Wells Fargo, where several community members closed their accounts on Saturday. The group leaves the plaza and heads toward Wells Fargo. Protest signs and T-shirts were distributed before the march, which stopped just shy of the bank's entrance. 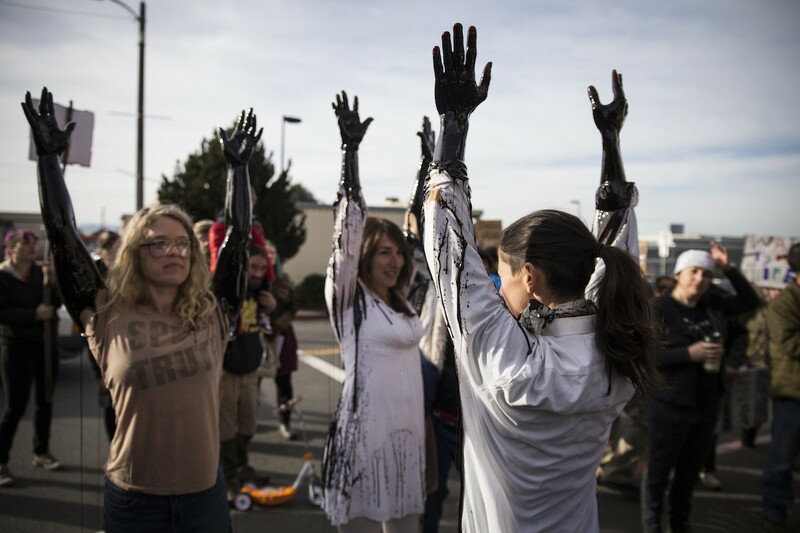 Leslie Castellano (right) leads three other protesters letting molasses flow down their arms in protest of Wells Fargo's investments in the DAPL. 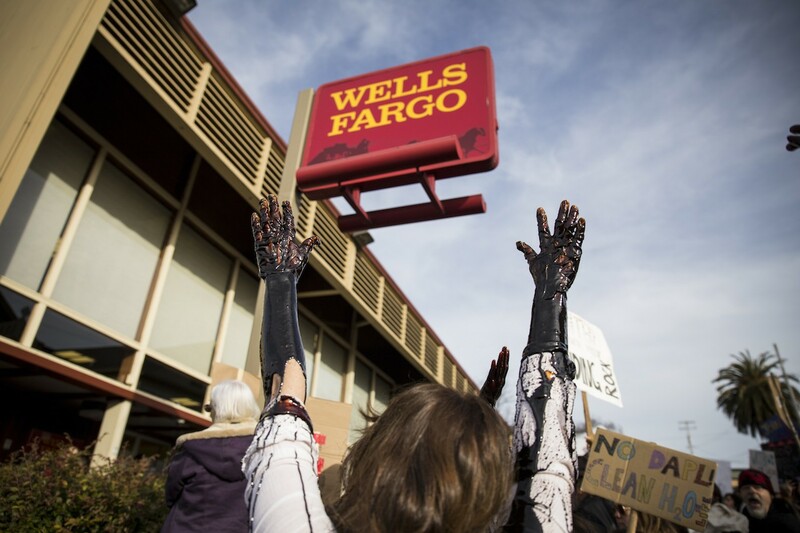 Covered in molasses reads, the sign reads, "Wells Fargo Hurts Clean Water."